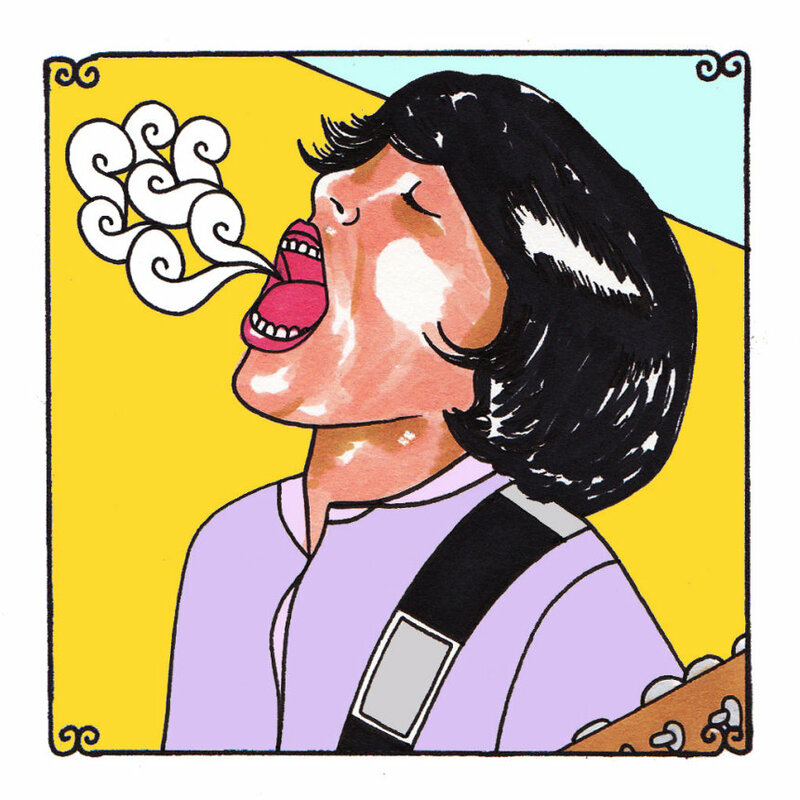 Marissa Paternoster, the lead singer and wailer for the New Brunswick, N.J., band Screaming Females, only sometimes screams in her songs. It's not a constant and it's what makes the moments when she does so…what's the word…enlightening. Yes, I believe it's enlightening. It's uplifting it feels like too. It's too easy to be out there suffocating, to be strangled into an existence that tends to reward stifled emotions, minimal acting out, falling into the paces of social norms and stricture. Paternoster represents a bloody fury on occasion and she spills herself out as a crazed lover (on the band's song, "Boyfriend"), overcome with a jealous and damaged passion that, no matter what is done, will not be contained in its current setting. It is about to erupt and it's about to splatter all over the walls, a reaction that will take hours to clean up. It's as if she has a direct line to the poison of the heart, when things start to tank. She taps into the vitriol of those hearts that are no longer giving the benefit of the doubt. She, drummer Jarrett Dougherty and bassist King Mike all work off of each other, on record, adding their own flourishes of unhinged mayhem, with manic punk rock beats, blistering guitar solos and growling low-end. Bringing the conversation back to the aforementioned song, we are dropped into the back-story of a girl who, at the age of nineteen, had a serious fever and the medicine men couldn't break it for a great long while. The girl becomes deranged, going over the scarlet falls and into a period of madness that consumes her and breaks her from reason for a while. Paternoster sounds as if she's blacked out, seeing only the red of the devil, spewing about burning in hell and letting loose with a lashing that sends out an atomic blast, burning the faces and arms of anyone within a 10-mile radius of the microphone or speakers. It's a ripping performance and an essential song to discover her finest talents and to provide the set up for any other song the band makes, keeping in the back of your mind her ability to snap.